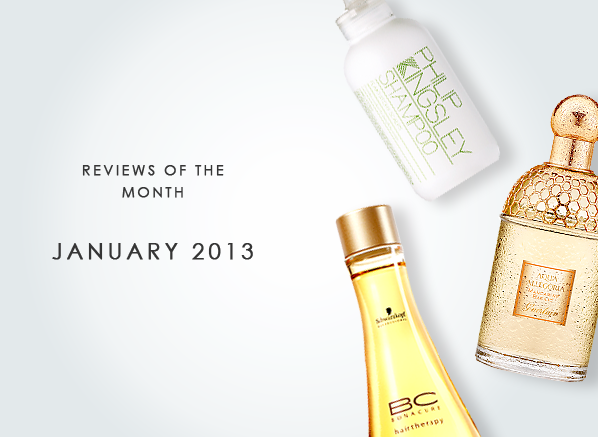 Each month we pick our five favourite reviews. These review are picked for being helpful, insightful or just really interesting. Each reviewer picked will receive a £20 Escentual gift voucher! For your chance to win, simply review your past purchases. I have used this product for over 6 years now, I can’t imagine not having it in my daily routine. Having suffered for years with flaky itchy scalp which was driving me mad, nothing would help tried most products and spent a lot of money trying so called treatment products, until I stumbled on this range by Philip Kingsley. I was so desperate to get relief from the itching I decided to buy the Flaky itchy scalp shampoo. Well I wasn’t disappointed, from the very first use I got so much relief, and after a couple of weeks my scalp had completely healed. No more flaky lumps in the nape of my neck, behind my ears and across the top of my head, no more red tender inflamed skin. My hairdresser couldn’t believe the difference this product had made to my scalp and hair and now recommends this to clients with similar conditions, I use nothing else and still after 6 years my scalp has never been better. I would never consider buying any other product, this does exactly what it says it will do. This is my desert island product I could never live without. Try it you won’t be disappointed, beautiful healthy hair and scalp is what you’ll have using this product and no itchyness or flakes insight!! A very classy citrus fragrance. I already had and love the Aqua Allegoria Pamplune and so bought this one. It has that really authentic citrus smell, not at all cheap or synthetic, but a rich enough citrus in that it is in no way linear (i.e. citrus right the way through) and develops into a lovely warm fragrance. It can, to my mind, equally be worn all year round as of course Mandarin notes can equally be thought of as a Christmas scent! The bottle is also a joy, the whole experience of these two particular Aqua Allegoria EDTs are a sheer delight. I would tell anyone whose experience of Guerlain is limited to their more spicy offerings such as Shalimar or Samsara, or indeed their more popular fragrances that can be found in the high streets such as Insolence or La Petite Robe Noir to not be clouded in their judgement on the basis of these. The Aqua Allegoria are far superior to my mind to a certain other brand that offers similar citrus offerings at more than double the price. I tried a sample of this product and was so impressed that I immediately bought a full size tube. It really does what it says it will do. The colour (I am using 002) blends magically with your natural skin tone to cover minor imperfections and create a soft, dewy, natural finish that looks really healthy. It feels cool and comfortable on the skin and is very easy to apply. I have quite sensitive skin but I can honestly say it has never looked better since I have started using this product. We have been trying out various products from this range since a pharmacist recommended for my daughters eczema. The products which were great for her arms and body were too rich for her face and she was getting breakouts. Not any more, this product has calmed down the eczema and the breakouts and given much more even skin tone. My daughter is delighted as she is not allowed to wear makeup to school but feels much more confident now. I have had problems with my hair breaking off and have tried many products without success. A friend gave me a sample of the oil. I was so pleased that I bought the shampoo, conditioner, oil and light finishing treatment. Between them, they are having an excellent effect on the problem. I will definitely buy again and recommend to others, including my hairdresser. I have very thick curly hair which I have a love hate relationship with! These products are the only I've found worked for me whilst living in London where the water is so much harder. Although it seems pricey, the conditioner is so thick that you hardly need any and it last for ages, so actually works out cheaper than buying anything from highstreet chemists. Highly recommended. This entry was posted on Friday, February 1st, 2013 at 12:50 pm and is filed under Reviews of the Month, Tried & Tested. You can follow any responses to this entry through the RSS 2.0 feed. You can skip to the end and leave a response. Pinging is currently not allowed.